33 new players are coming to GVSU including six from right here in West Michigan. 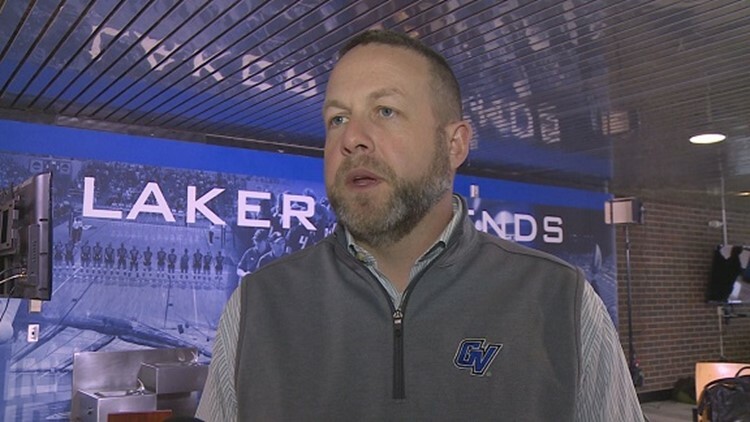 GRAND RAPIDS, Mich — GVSU is not resting on the laurels of a 10-2 season. Head coach Matt Mitchell has been hard at work recruiting and he believes it will pay off. Jaden Mabin, DL, Kalamazoo, Mich/Mattawan. Out of GVSU’s 33 new players, 16 are on offense, 16 are on defense, and one is a kicker.